Editors Note: Originally published February 7, 2017. It is being republished to be part of the 2018 Super Bowl Recipe roundup with expanded discussion and updated photos. 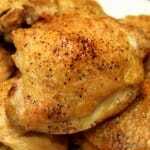 It is a great recipe for get-togethers and is sure to please. My wife had a knitting group, and a treat was needed to go with the tea. 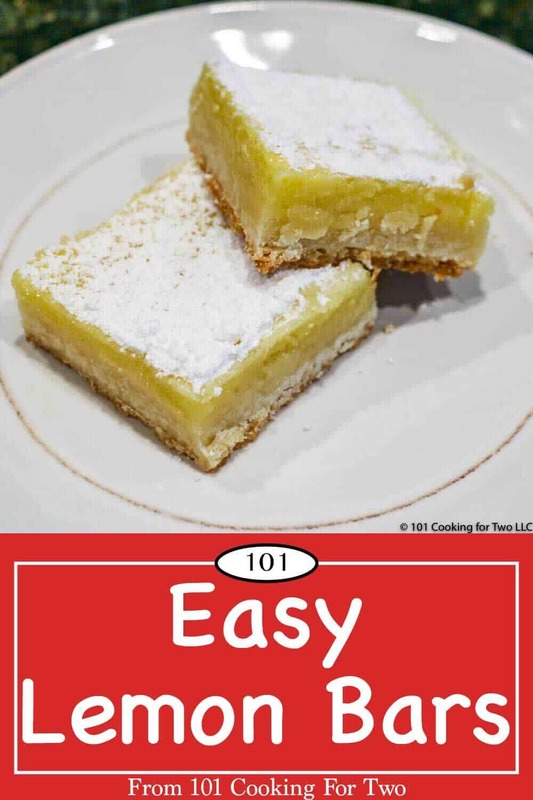 My wife suggested Lemon bars from a particular cookbook. Unfortunately, it was not there. I searched various cookbooks but nothing worth discussing. So online time. I started at Cooks Illustrated as usually, but the recipe went on and on and on and on. I got some hints, but I wasn’t jumping through all those hoops. 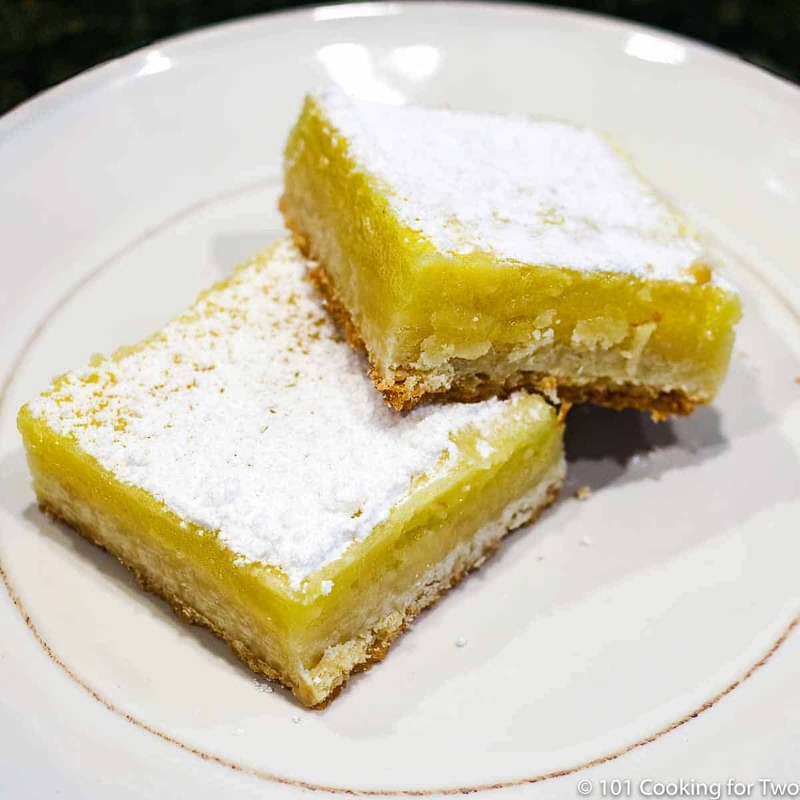 I finally zeroed in on All Recipes – The Best Lemon Bars. With a 4.5 star rating, simple instructions, and not too many ingredients, it was for me. I read several hundred of the reviews and had my plan with modifications from comment land. 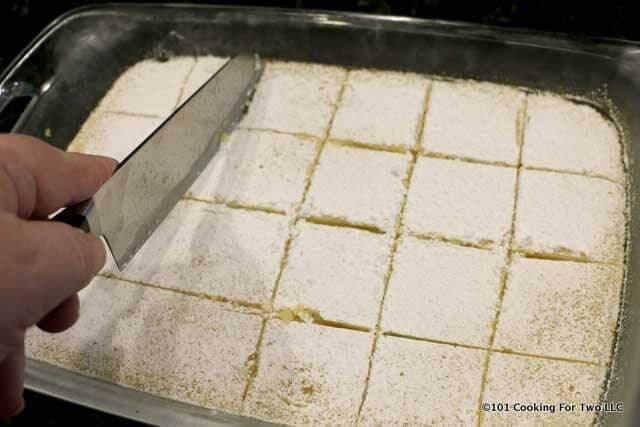 A 4 or 5 depending on if you’re a “lemon bar person” or not. But even the “not” will enjoy this. Better than any lemon bar I have tasted. The model recipe suggested ungreased, while Cooks Illustrated goes with a two crossed sheets of parchment paper. Other recipes greased the pan and some just the sides. Quite some variation. 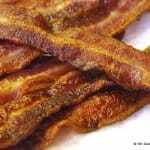 I suggest parchment on the bottom and grease sides. You will still need to use a knife around the outside to remove. Do not follow the “ungreased” recommendation. Lots of recipes add some lemon zest for more taste. That is fine if you want, but I don’t feel it is needed. This would be an easy recipe to cut in half with a smaller baking dish. The bars should be refrigerated for storage and should be good for 3-4 days. I’m not convinced that these would freeze well. You can use fresh lemons. 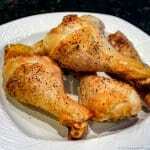 A medium lemon will have 2 1/2 to 3 tablespoons of juice so for the 2/3 cup of juice, use 4 medium lemons. Preheat oven to 350 degrees. Prep a 9 by 13 baking dish. Give it a light brush of butter then cover the bottom with parchment paper. Soften 1 cup (two sticks) of butter in the microwave. 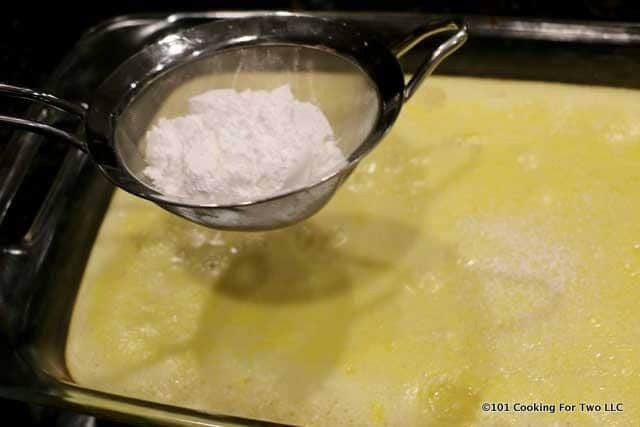 Mix the softened butter, 2 cups flour and 1/2 cup sugar. If unsalted butter, add 1/4 teaspoon salt. It will look crumbly. Press into the bottom of prepared pan. 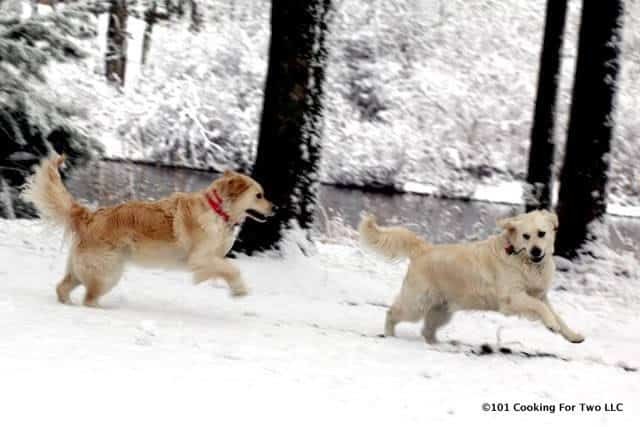 Bake for about 20 minutes until firm and golden. Whisk together 1 1/2 cups sugar and 1/3 cup flour. 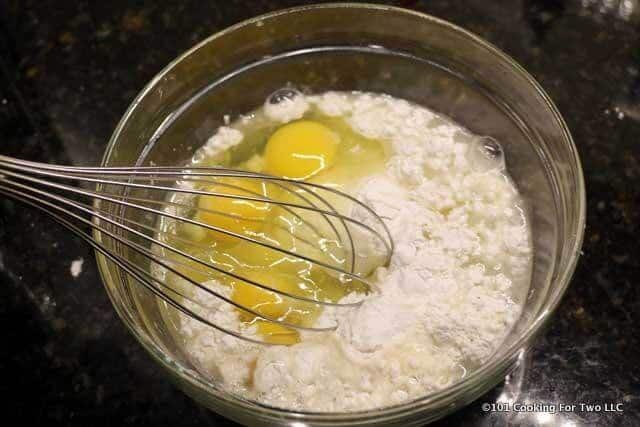 Add 4 eggs and the juice of 4 medium lemons (or 2/3 cup lemon juice.) Mix well. 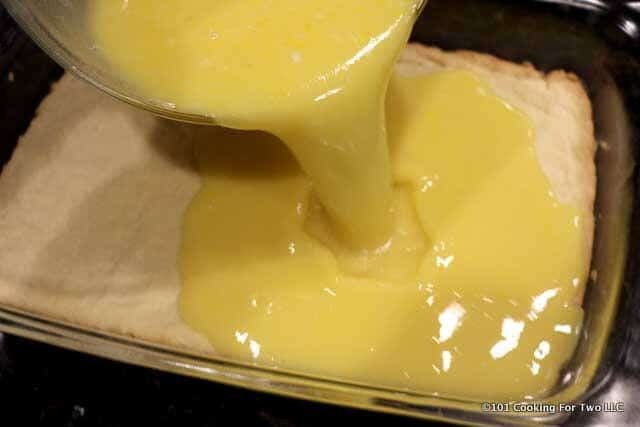 Pour the lemon/egg mixture over the baked crust. Bake for an additional 20 minutes. Cool in refrigerator before cutting into 2-inch squares. Soften 1 cup (two sticks) of butter in the microwave. 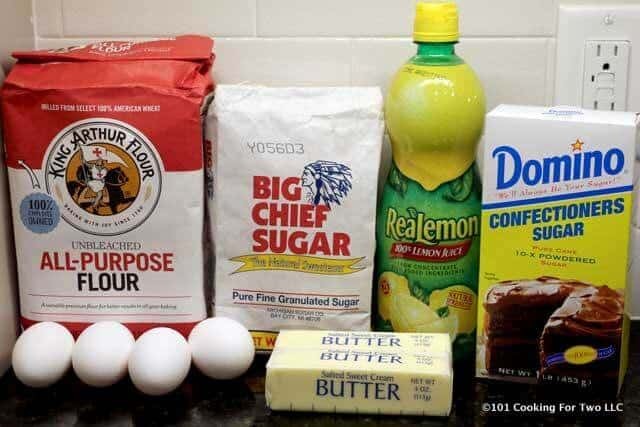 Mix the softened butter, 2 cups flour and 1/2 cup sugar. If unsalted butter, add 1/4 teaspoon salt. It will look crumbly. Press into the bottom of prepared pan. Bake for about 20 minutes until firm and golden. Remove from oven and dust with powdered sugar. Cool in refigerator before cutting into 2-inch squares. 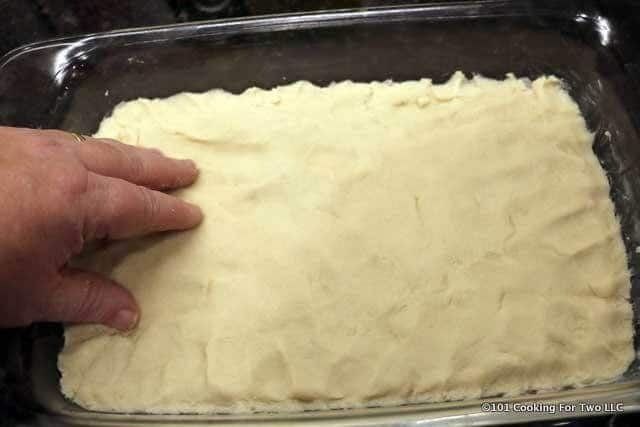 An easy recipe to cut in half using an 8 by 8 baking dish. You may use fresh lemons or lemon juice. Be sure to cool completely before cutting. The bars should be refrigerated for storage and should be good for a few days. I'm not convinced that these would freeze well. Delicious! Quick & easy. It’s citrus season here. I had to make two pans of it this week to keep up with family demand. 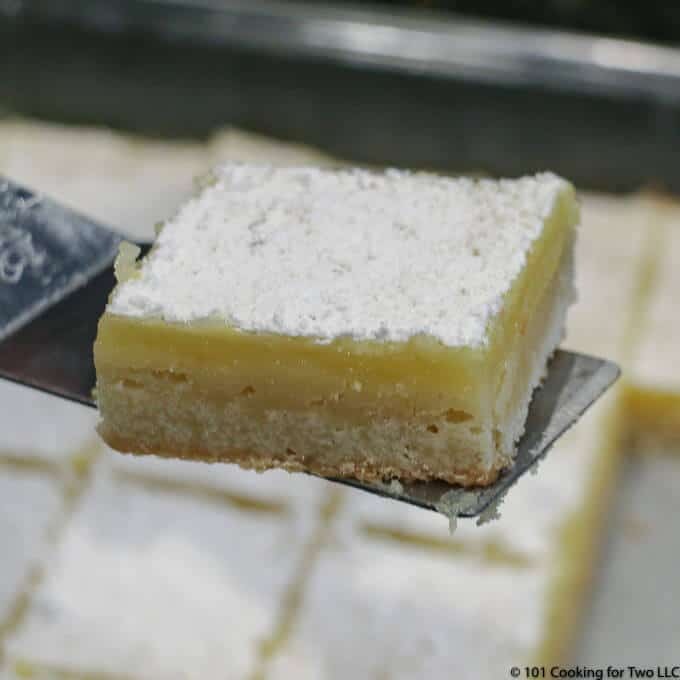 Lemon bars are one of my favorites and have never tried from scratch, can’t wait, am sure as yummy as all your recipes, Thank you! I halved the recipe and made an 8″ square pan size. These were really good and very easy. I needed to add a few minutes more to the cook time when browning the base. I wasn’t sure what the lemon filling’s appearance should look like when finished (it puffed up a little while cooking) but I cooked it till it was set without any wet spots. My only problem was when I poured the lemon filling in and some flowed under one edge of the cookie base. I think next time I might make a bit of a ridge at the edge to keep the filling enclosed at the sides. I’m also wondering about storage – refrigerate or room temp, tightly or loosely covered? 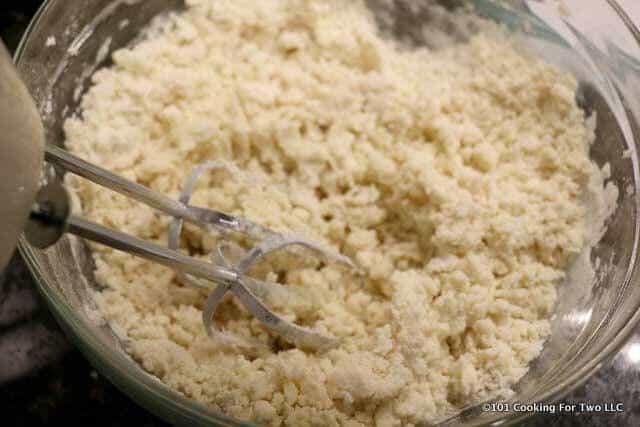 This recipe looks delicious, but I noticed that he filling directions say to mix in 1/4 cup flour, however the ingredients show 1/3 cup flour, which is the correct amount of flour for the filling? Also, I’m wondering if this recipe can be halved using an 8″ square pan? 1/3 is correct. I had to up the flour for some extra lemon juice. Fixed. The area of the 13X9 pan is 117 sq. inches. The 8×8 is 64 so close enough. A 6X8 baking dish would also do. A nine inch round is about 64 sq. inches also. This recipe looks delicious, but I noticed that he filling directions say to mix in 1/4 cup flour, however the ingredients list 1/3 cup flour, which is the correct amount of flour for the filling? This looks delicious. Is that icing/powdered/confectioners sugar in with the eggs? No that is just the flour before I did the whisking.